I love attending press shows. 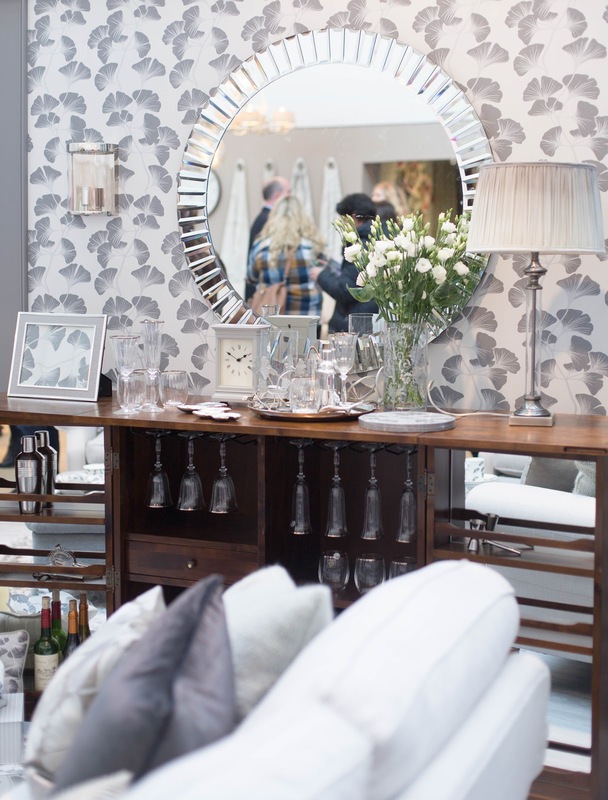 They're great for gaining new inspiration and getting a sneak peek of what's coming next in the interiors industry. I went to Laura Ashley's spring/summer 2017 press show last week which is one of my favourite press previews to attend as they always manage to surprise me and bring out new lines that are more divine than ever. The new collections were absolutely beautiful. I know I say this everytime, but this is probably my favourite collection to date. It's definitely their 'chicest' collection to date! I adore the way Laura Ashley mixes traditional and contemporary styles together for a such stylish and sophisticated look. I loved all the brass, beautiful greys and luxurious velvets at the press show. 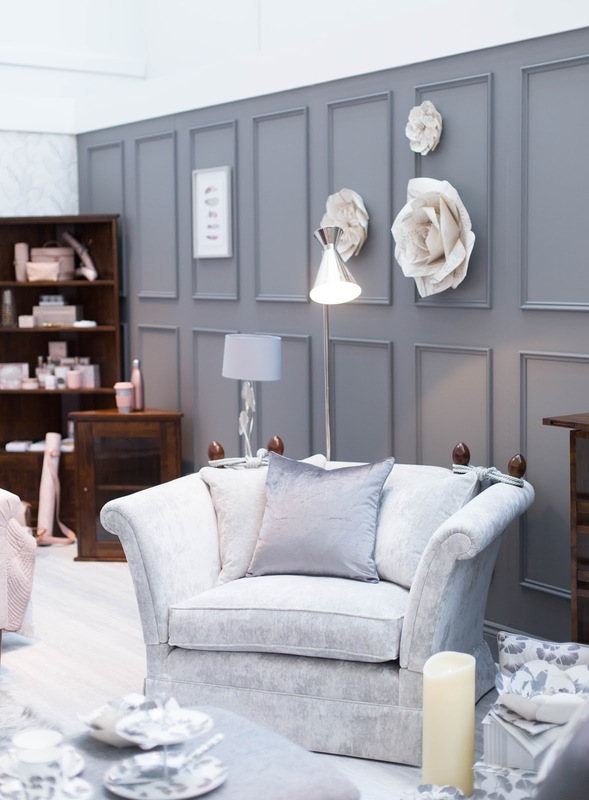 Classy interiors never go out of style and that's where Laura Ashley really excels for me. 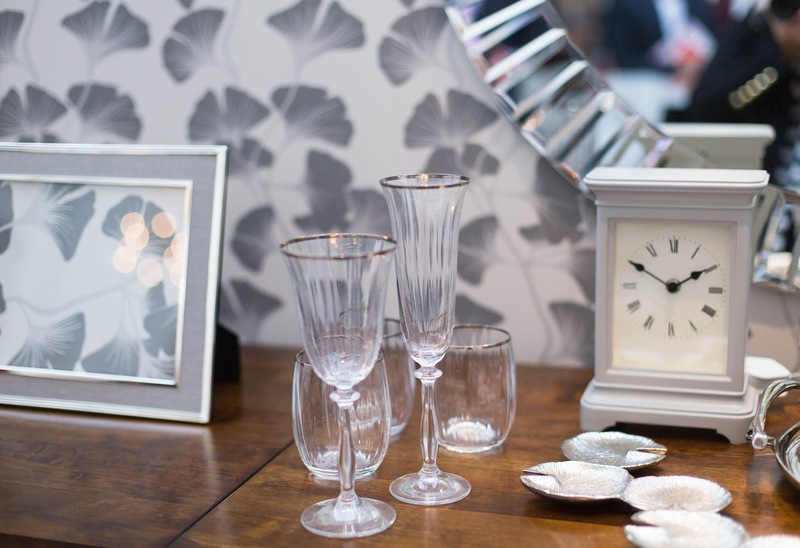 Their homeware collections are always so elegant and stylish which is why I am a massive fan of the brand. Accessories really make a home in my opinion. They add the finishing touches to each room and are an inexpensive way to update your seasonal decor. I loved all the new collections at the press event but the Natural by Design Collection was probably my favourite. 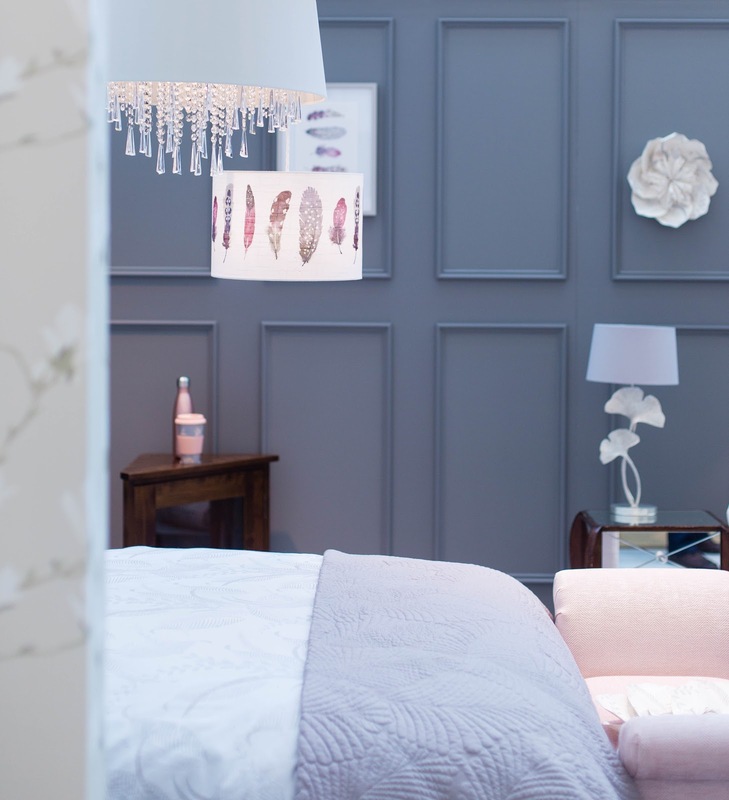 The neutral colour palette really appealed to me and the details were just stunning. 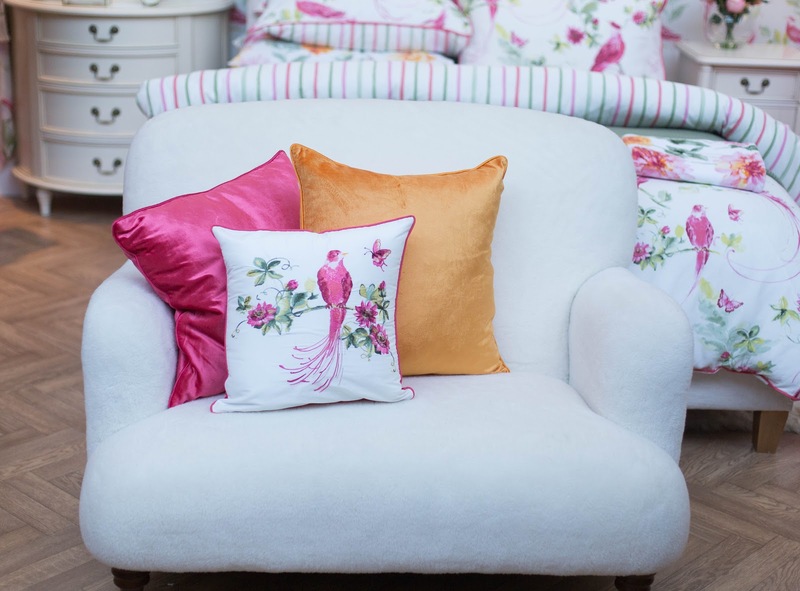 The cushions and the textiles were beautiful and I was so inspired that I have started planning my next make-over project in my head already. 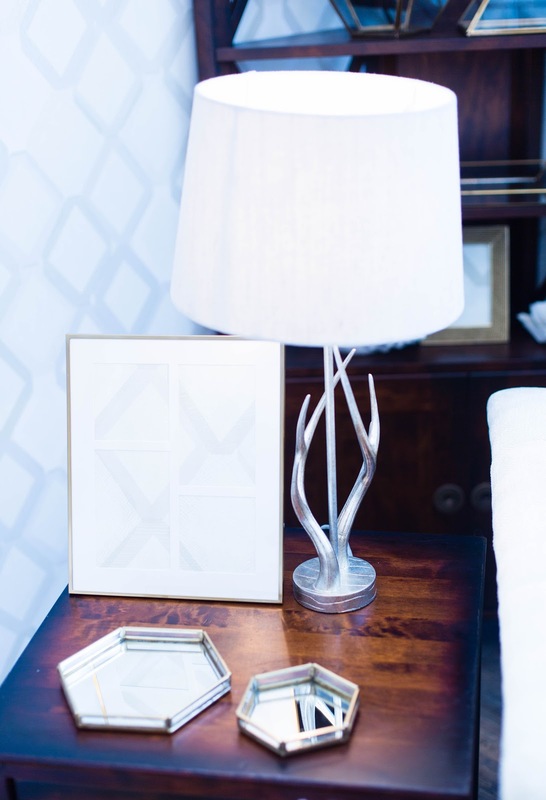 The Mulroy Antler Lamp (below) was my favourite piece in their new lighting collection. It's also available in a chandelier if you want your lighting to match - it's so chic and elegant! The throws and the blankets were out of this world. 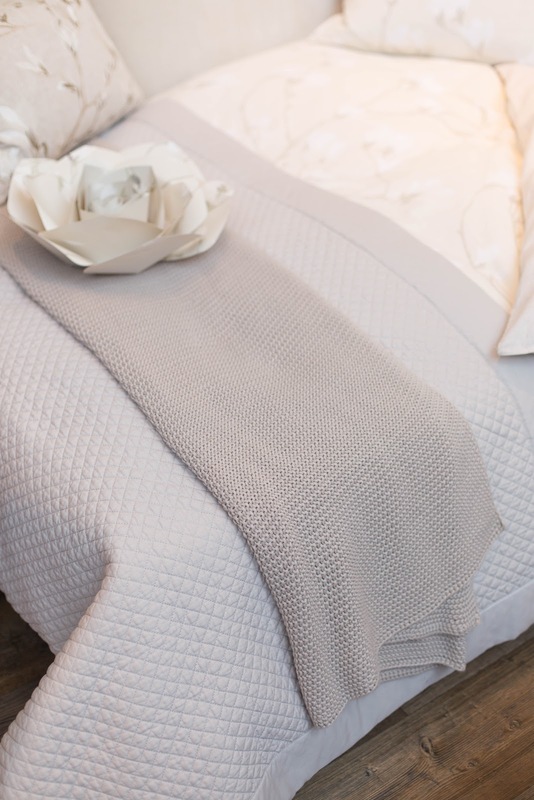 You need to go and check out their blanket and rug collection in person to truly appreciate the texture in my opinion. 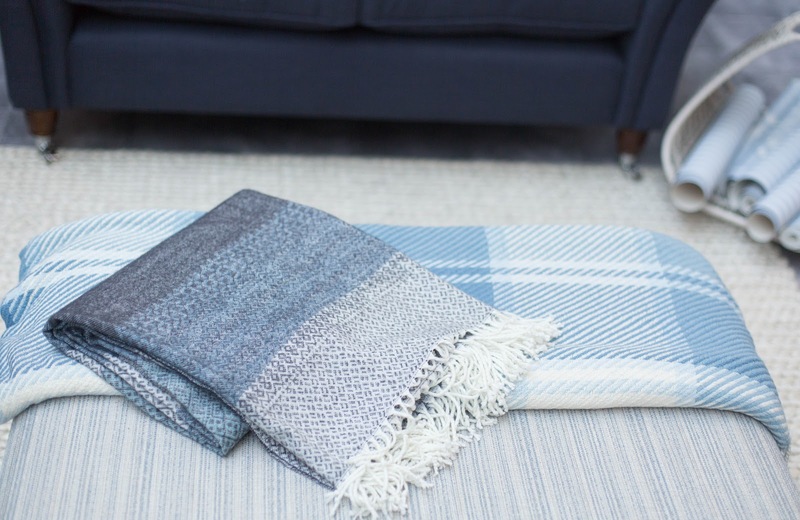 They feel luxurious to touch and I cannot wait to curl up on the sofa with one of these throws. By the way, how fabulous are those decorative paper flowers? They are made from Laura Ashley wall paper and looked amazing on the walls. You cannot buy them but they would make a great DIY project, don't you think? 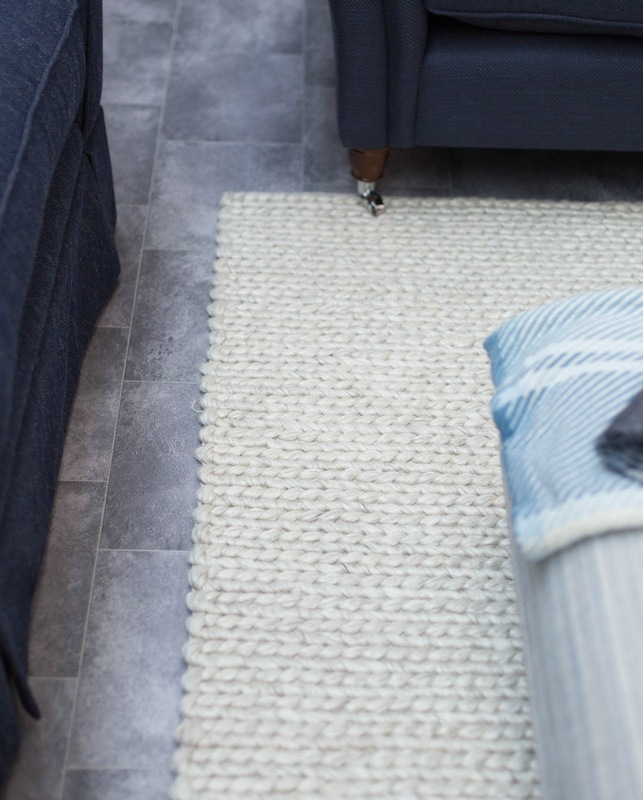 How amazing is this grey sheepskin rug? I'm not sure if they do it in a larger size but if they do, I might just have to order one for the house. I'm a big fan of rattan and I love using my rattan baskets to store magazines and throws/blankets. Rattan has made its way indoors in the last few years and luckily I don't see its popularity slowing down anytime soon. I love the way it adds texture and a natural feel to any space. 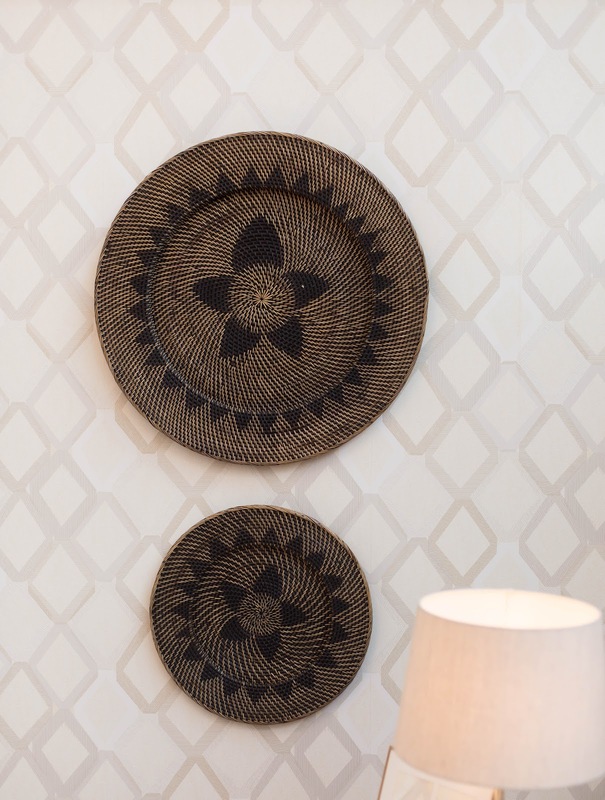 Rattan baskets are great for storage but I had never thought about rattan on the walls. 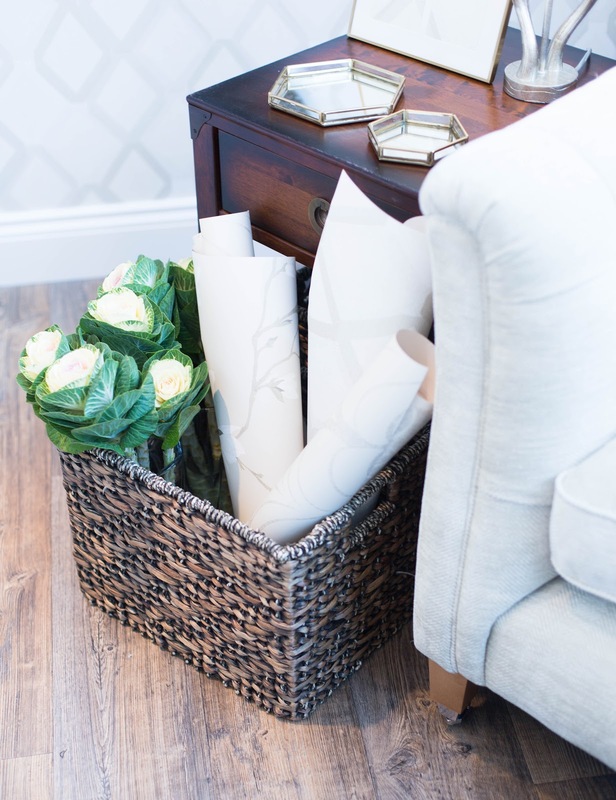 The Rattan Woven Basket Wall Art can make any room feel summery and it also matches the storage boxes nicely. It has definitely given me some new ideas on how to decorate our lounge. I personally love a bit of retro style with clean modern lines. 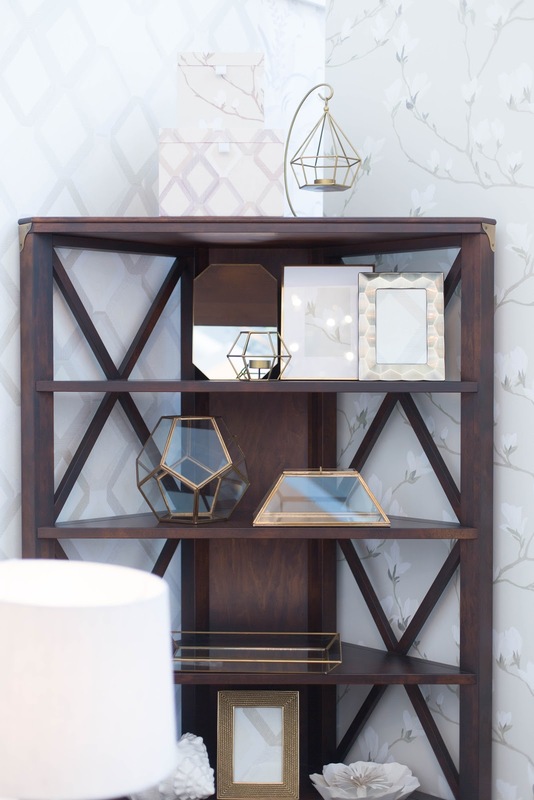 The Chestnut Book Case is quite a statement piece on its own. The brass terrariums and candle holders are very trendy and can be used to store jewellery or succulents. The Garrat Chestnut Drinks Cabinet is also a must-have now that the festive season is approaching. 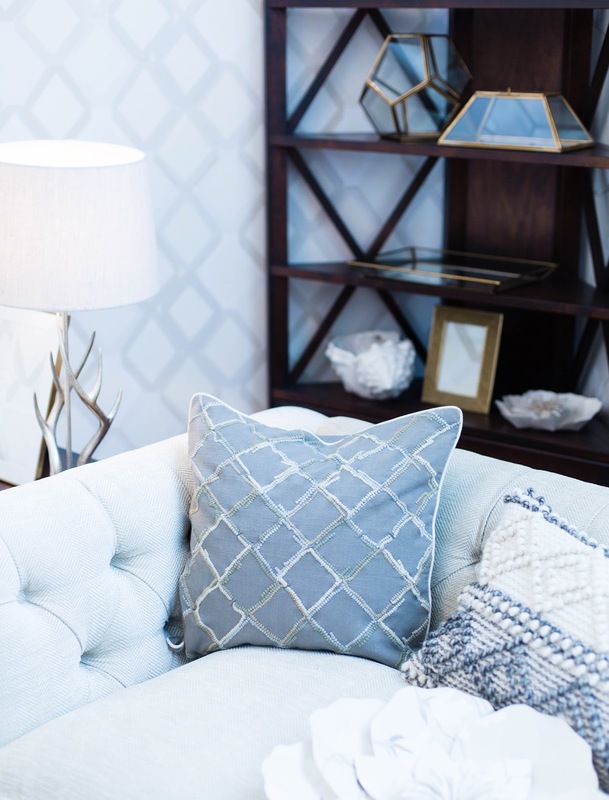 When your wine glass collection is this beautiful, why would you want to hide it? I do love mirrors. 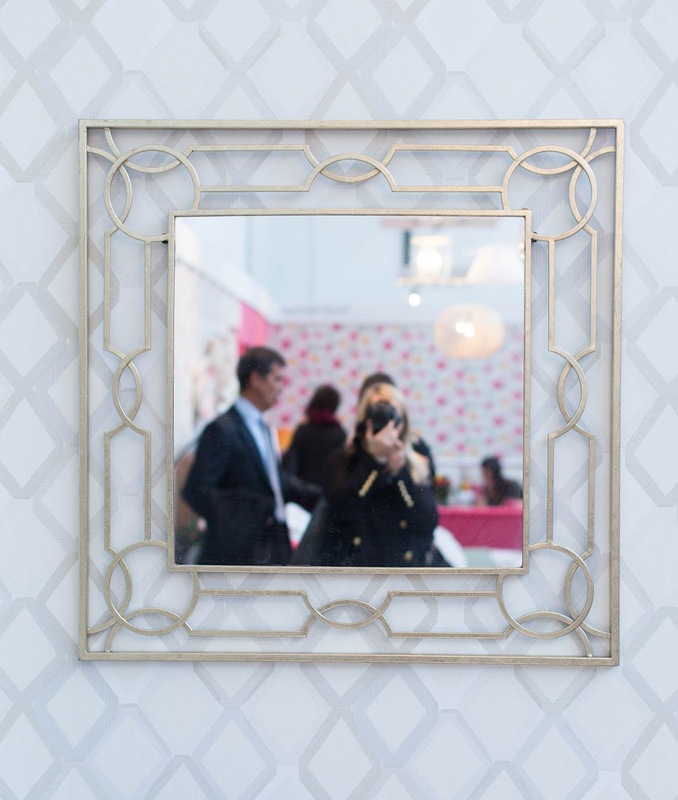 I wouldn't mind adding a gold mirror to our collection at some point and I think this art deco style mirror looks striking against the wall paper. I'm not a massive wallpaper fan but this patterned wallpaper might have just converted me. You couldn't really pick a more sophisticated and elegant pattern in my opinion. And now, last but not least, I'm excited that the popular SET of 3 LED Candles will be also available in elegant grey very soon. 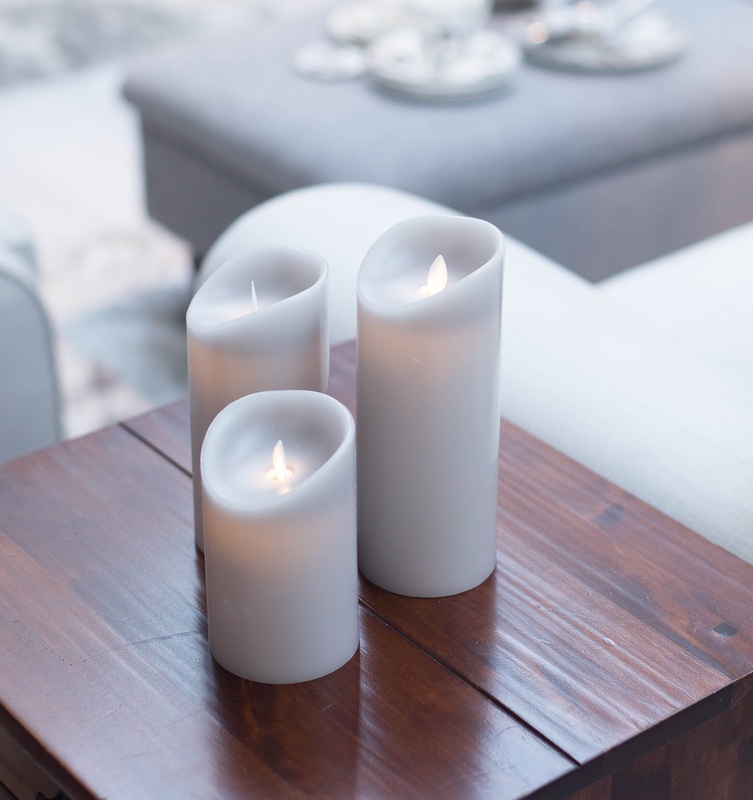 LED candles are a godsend in a house with children or pets. They are much safer and you don't have to worry about candles burning out again. These candles will be on my shopping list in 2017 for sure. 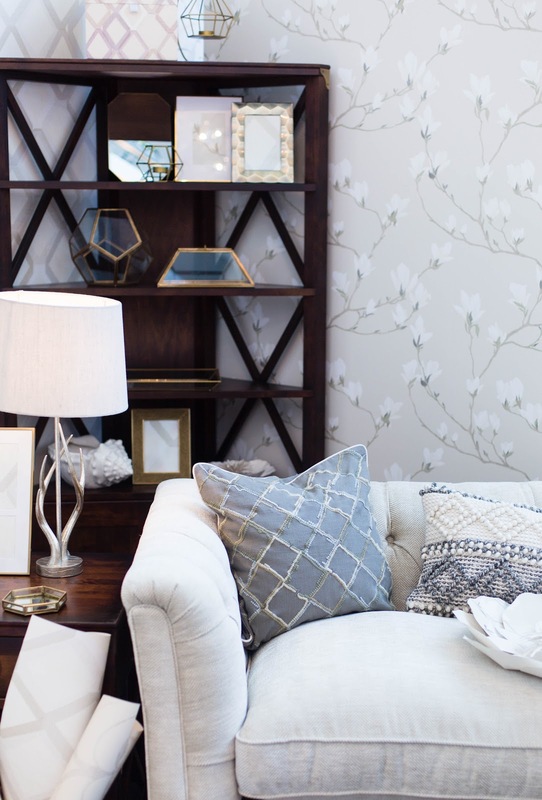 The new collections should be landing in the shops in February so do pop into your nearest Laura Ashley store to have a closer look in the new year. As much as I enjoy shopping online, I also love to see and feel the products in person. I guess it's a good excuse to get out of the house for some 'me time' if nothing else! 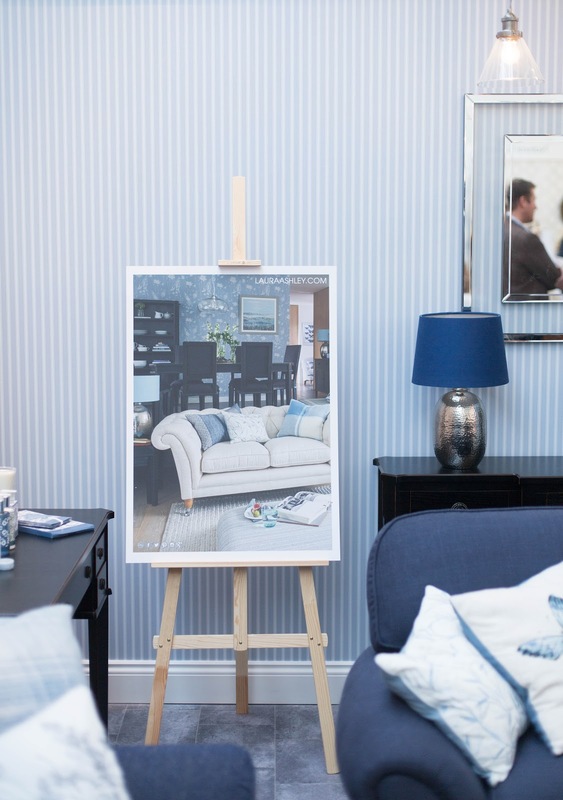 Don't forget, Laura Ashley also offer an interior design service if you feel you need a bit of help with a specific room or simply want to showcase your home to look its best. You can find more information about the design service here. Thank you for your comment Helene! Sorry I'm not familiar with clone partition :) All the best! 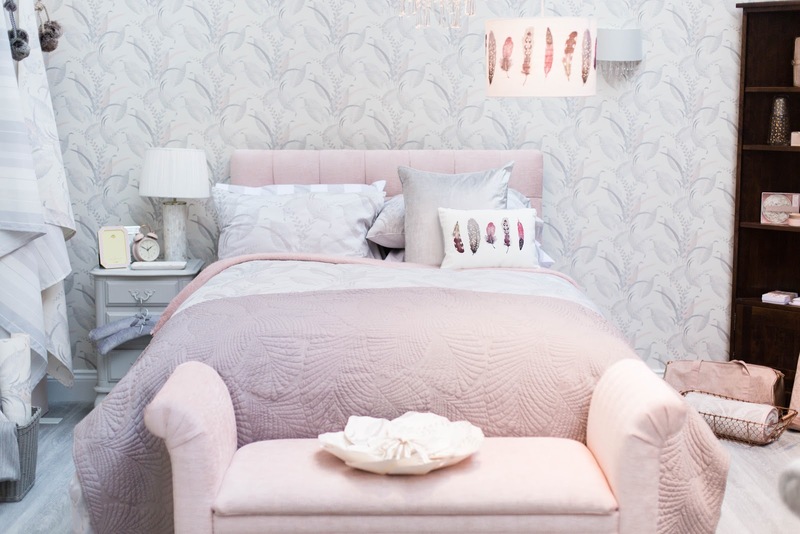 I'M ON THE LAURA ASHLEY BLOG!